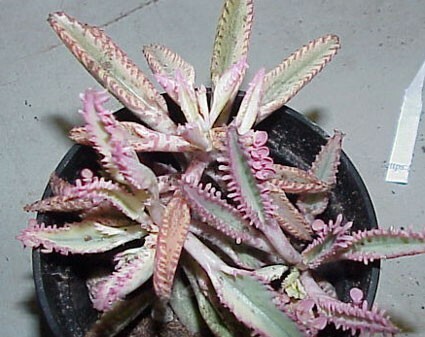 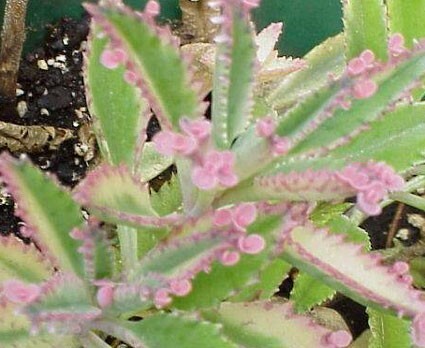 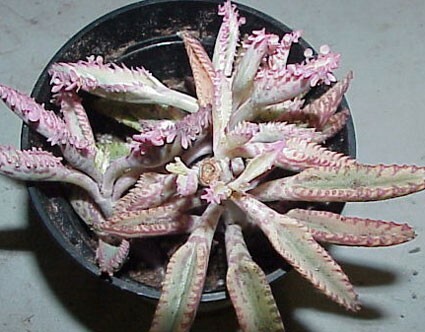 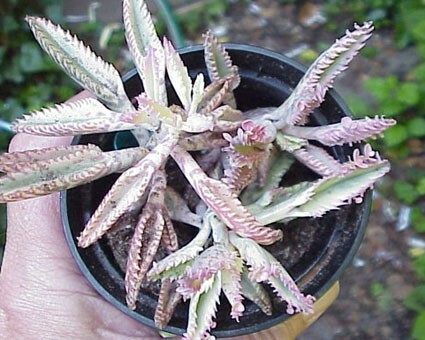 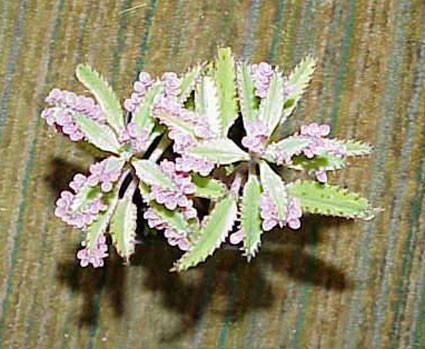 The succulent leaves have pink & silver splashed along the edges & sometimes the midrib; variegation disappears when in extended extremely warm conditions. 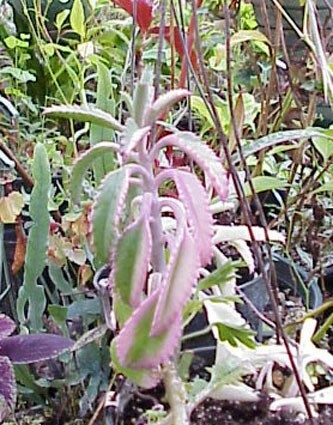 Be prepared: if shipped during warmer times of the year, little pink will be visible. 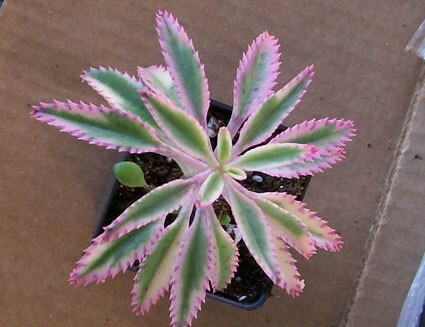 After considerable trial and error with shipping this exotic, we now prefer to send strong unrooted cuts in dry perlite to avoide any damage on the trip to you. 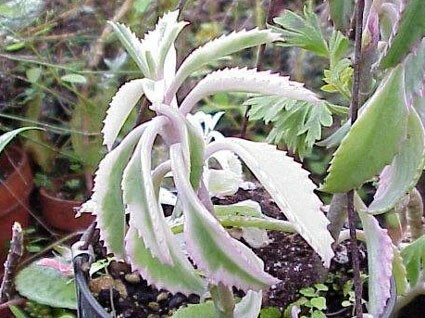 Originally shared with us by Patti Lee. 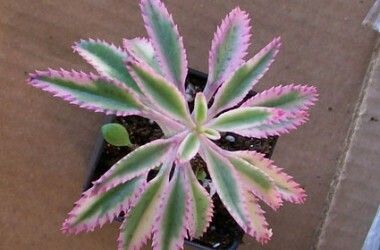 If you do not have a sunny greenhouse, this can be difficult, very difficult indeed.